Wednesday is usually the day Jackson gets his allergy shot & then we are off to church for our Wednesday night meal and activities. Every year the CHMS Starlettes have a little dance "camp" after school. 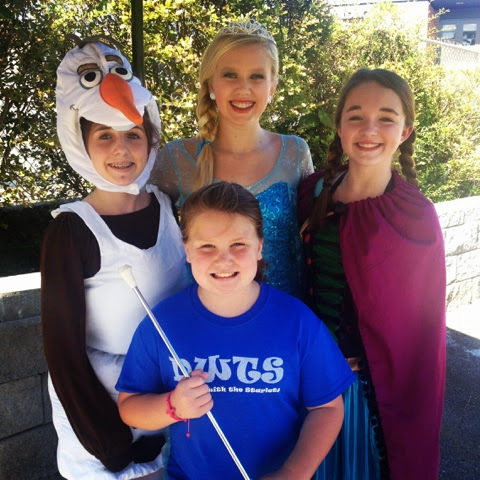 Brylee goes every year and this year she decided to be a twirler and take her baton. They danced to Let it Go & had a few special guest from Frozen make an appearance for the girls! Tonight we went to the MLES Renisanace Faire. 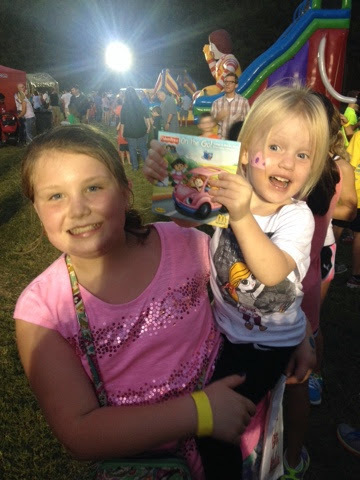 The highlight of the night for Brylee was getting to see Taylor aka Tay Tay... Her bitty best friend! Jackson ran his first 5k! 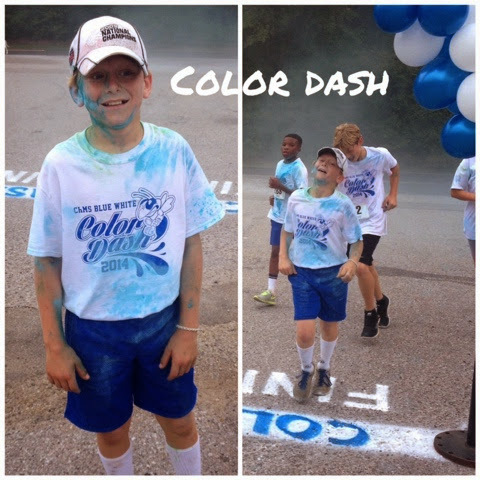 He ran the CHMS Blue White Color Dash and did really well... I would guess he probably finished in the top 20! Sunfay evening the weather was so nice and cool outside... 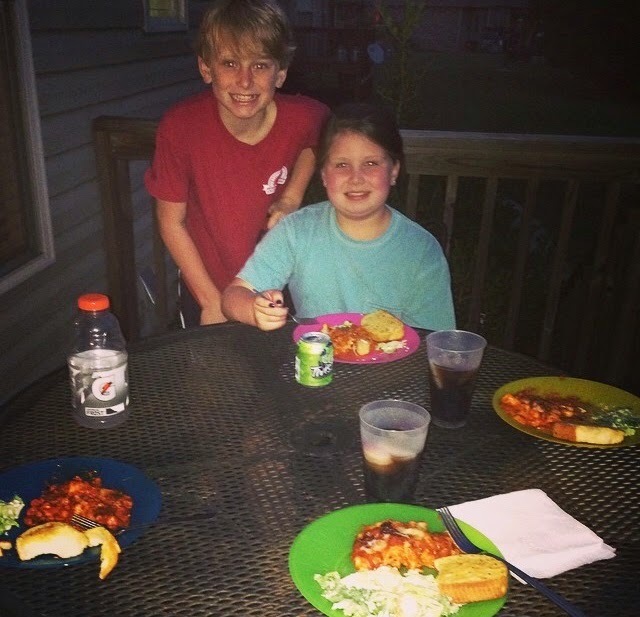 It was a great night for dinner on the deck! Monday, September 29th: Go Cowboys!!! 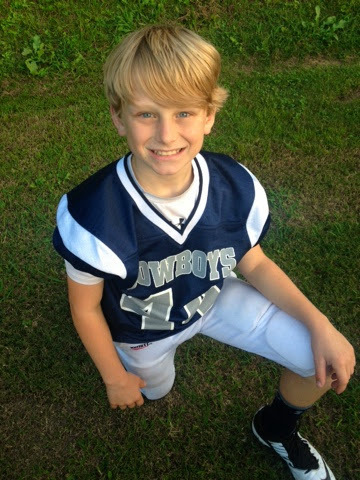 Jackson played tonight against one r the Hoovee teams and the won!!! Go Cowboys!!! 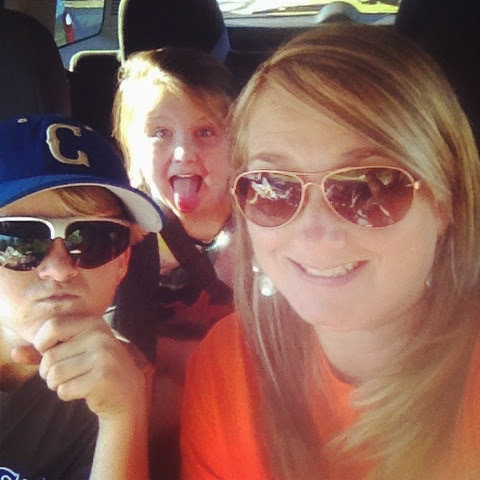 Love my #44!!! Tonight was Brylee's turn to cheer on the Chelsea Hornets!!! 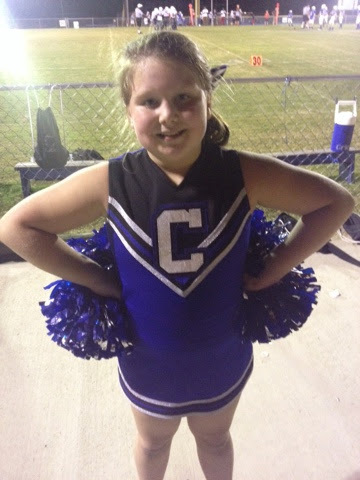 Love my little cheerleader!